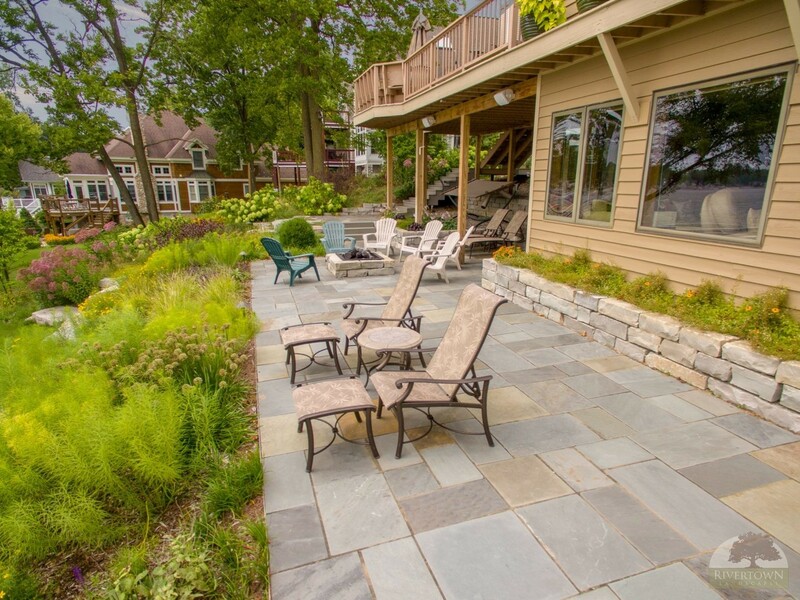 Looking to maximize the usable space on a steep back yard, this naturalistic design created multiple terraces to add patio space, planting space, and maintain vehicle access to the rear yard water frontage. 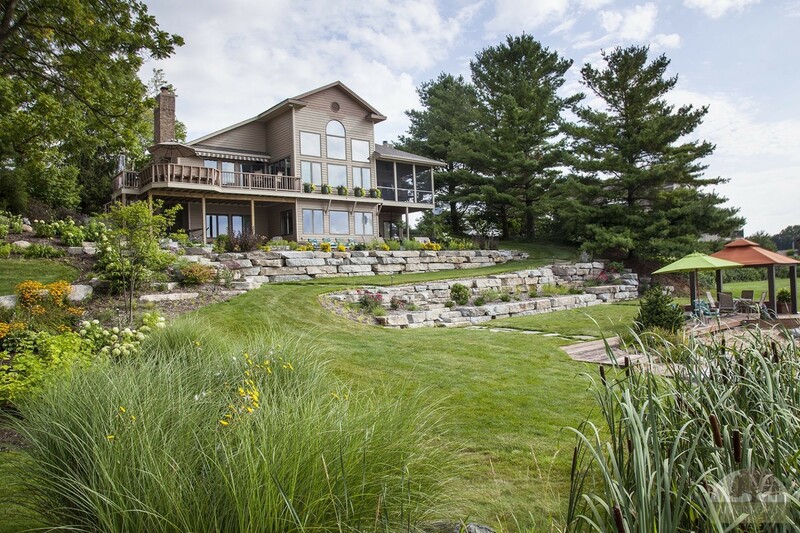 Large outcropping stone walls were used to add almost twenty feet of usable space across the rear foundation of the home. 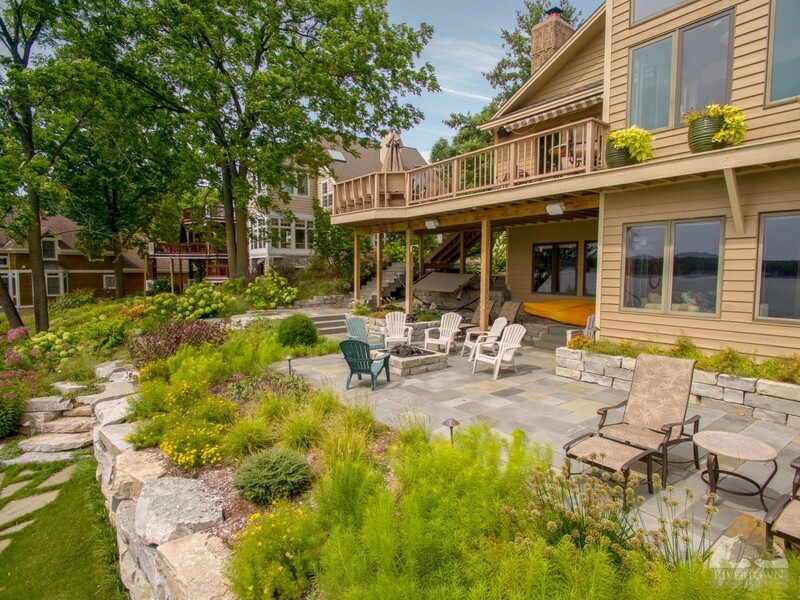 These rustic walls also add to the relaxed and informal atmosphere of this luxurious lake front. 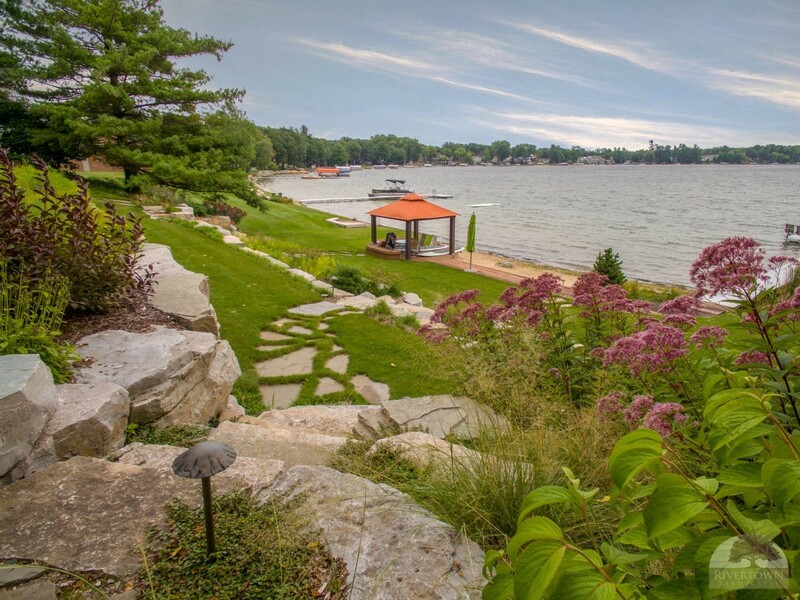 The added space allows for a new bluestone patio with a gas fire pit and offers the home owners and their guests unobstructed panoramic views of the lake. 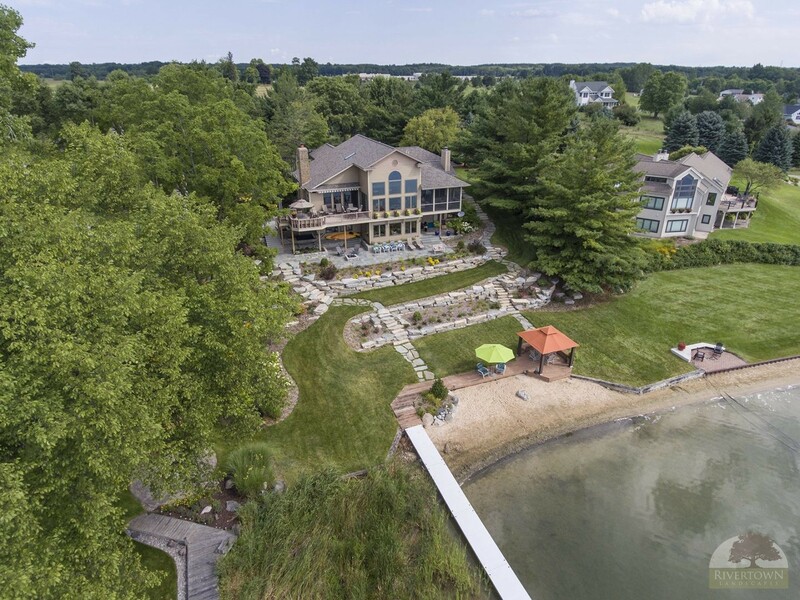 Intersecting the multiple walls is a grass pathway that connects the front driveway all the way to the lower lake front, more than twenty feet below! 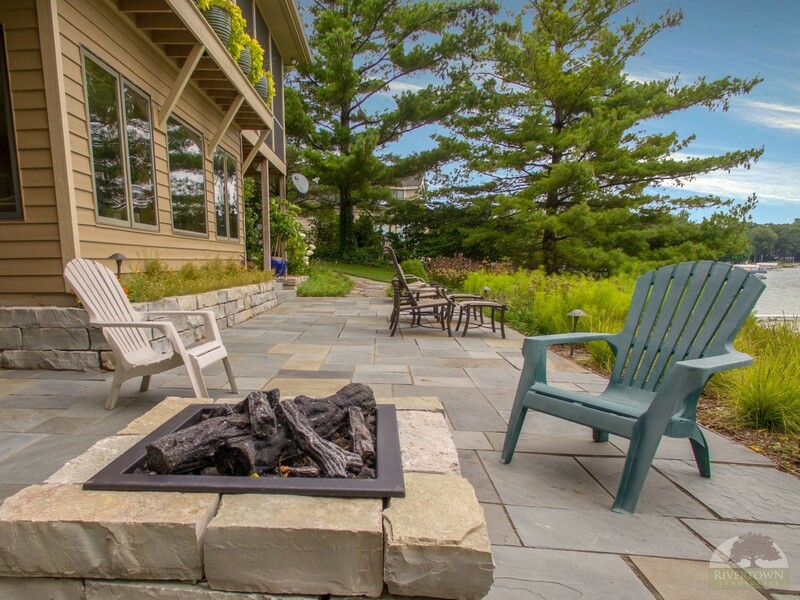 Stone steps and flagstone stepper pathways provide a solid surface and walkway from the patio level to the beach level. 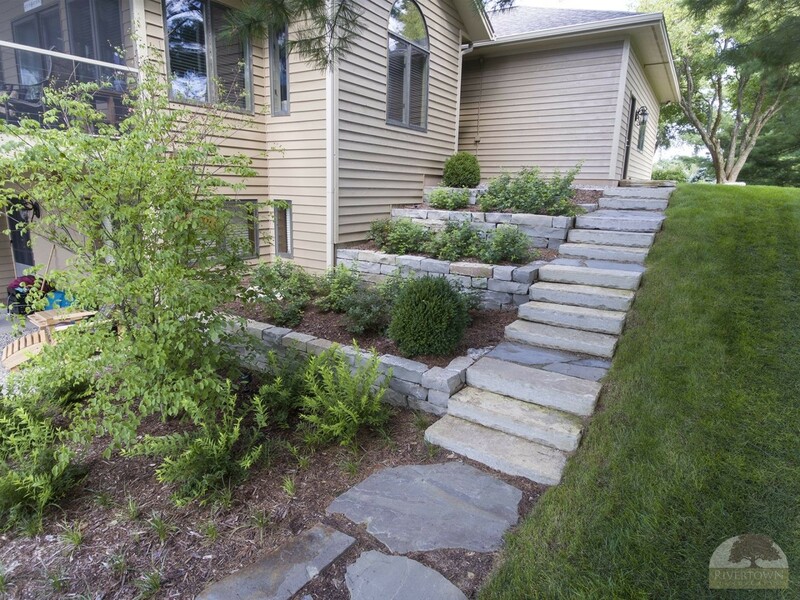 Lush plantings complete the design and provide color and interest year round while softening the hard stone surfaces. 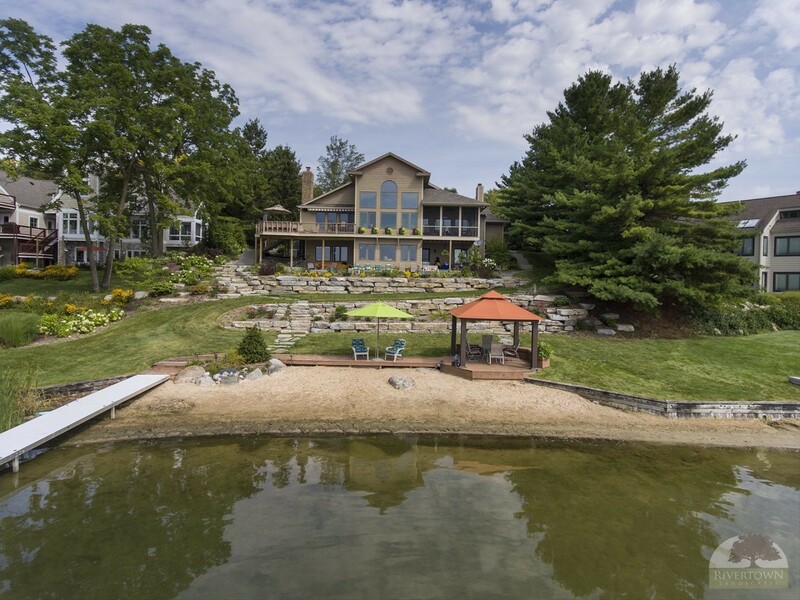 Whether your preference is dipping your toes in the water or simply enjoying the views from above, there are ample opportunities to relax and enjoy this lakefront beauty at any time of day.